OK, jokes aside, this took forever. Making the bg, that is. But I'm pretty happy with it. Had some other ideas i didn't make, like a moon, and landscape. In the end, the current background turned out best. Also had some ideas of stuff floating around, but went with stars, as the other things was only disturbing. And made Rin look a bit... erm.. out of place, or whatever. Browse Fate/stay night Gallery: Recent | Popular. I wouldn't mind starting my new day everyday by looking at Saber! I'd be always be in a good mood! OMG..... Saber is smiling.....! so charming! the bg is simple but i love it! cute and nice! tanks brother! And the Kimono of Saber is a real dream. I like this work a lot although there could be a bit more in the background. Very cute. At first, I thought it was a painting....and it still looks like that, very simple and pretty. Don't worry. Keep making wall of Saber. I love your work, especially it's because of Saber. She's totally cute. And... she looks a bit different in this scan. The wall look very nice. 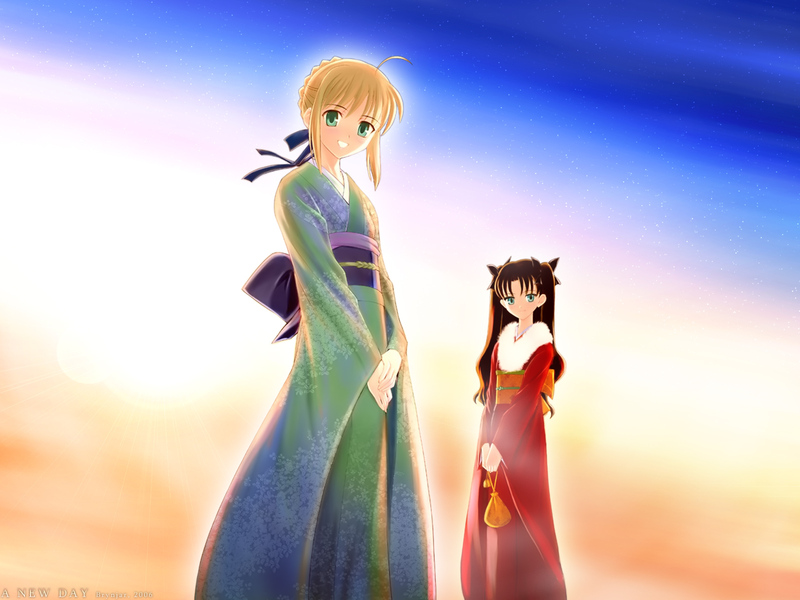 I like the BG too, the colors are so nice and yes.....Saber and Rin looks so great wearing yukata. very beautiful! i love it! the light effects are just amazing! great job! the colours are alsome too! =D sooooooo pretty! Looks like a paint, I like draws tha look like a paint and hate computer draws that actualy look like computer draws. Liked it very much.